The Red-billed Chough is hardly seen in western Europe, because it is a mountain bird. In Britain, you can sometimes see the Red-billed Chough on the rocky shores. It has a long, red, and slightly downward-curved beak. 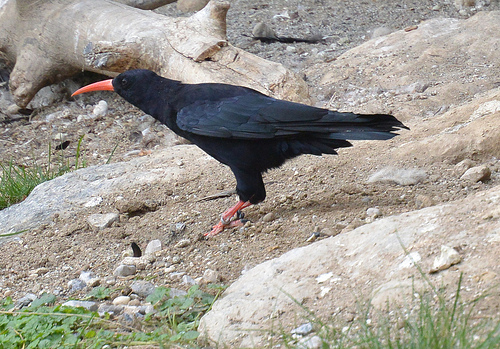 The Red-billed Chough is larger than the Alpine Chough and has a red beak.